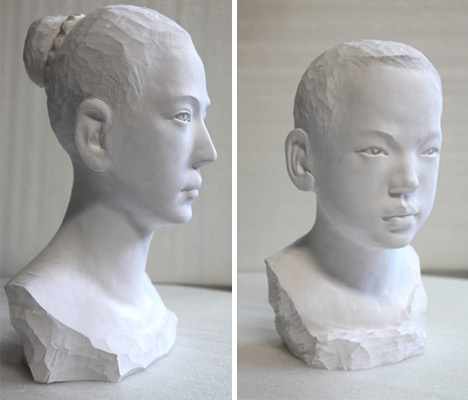 At first glance, these sculptures look just like delicate porcelain or ceramic – but they hide a surprising secret. 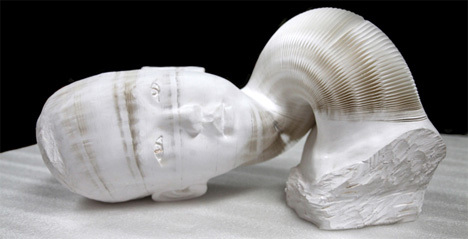 Beijing artist Li Hongbo‘s sculptures are actually made of thousands of layers of plain white paper, glued together into heavy accordion-like shapes that only appear totally solid when they are still. When grabbed and manipulated, their true nature is revealed. They are flexible and complex, capable of stretching long distances and looking altogether otherworldly, particularly the human figures. 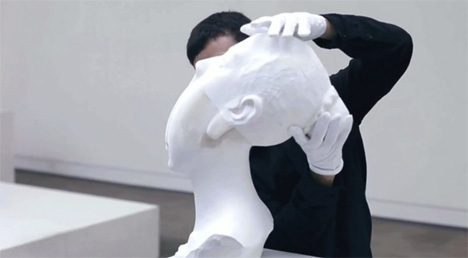 Li Hongbo was inspired by traditional Chinese toys made from intricately folded and glued pieces of thin paper. The toys are stored flat but open up to reveal fun, playful shapes. 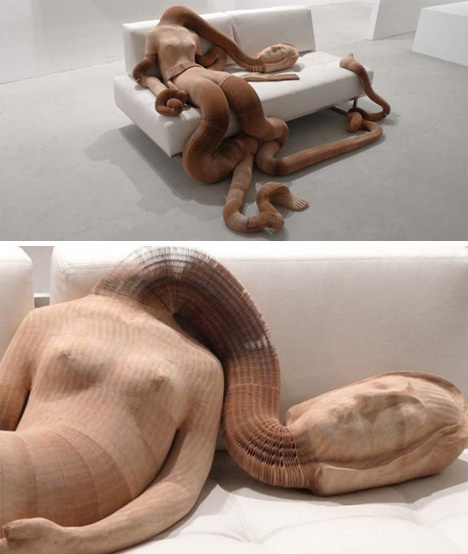 Likewise, Li Hongbo’s sculptures exist in two different states. 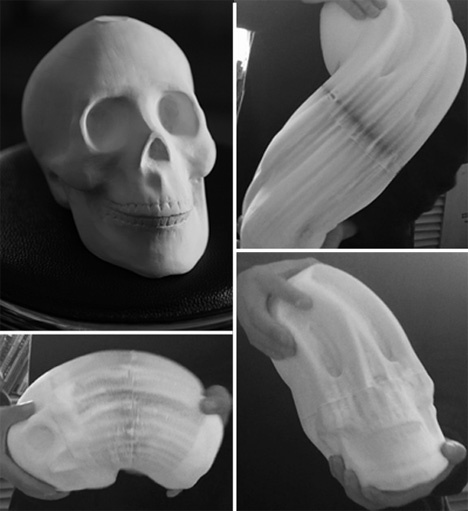 Their static shape is stable, solid and beautiful – but when they are moved, their true nature is revealed. 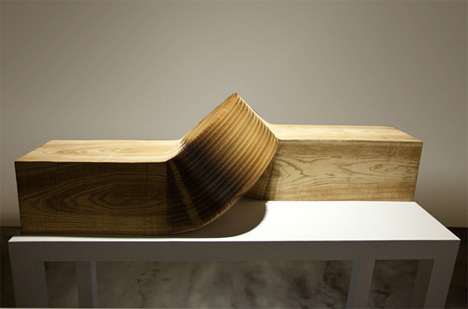 They are ephemeral, not stable; airy, not solid – but the beauty of these flexible sculptures remains.